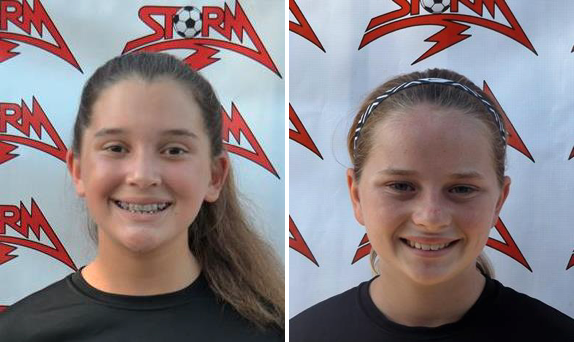 Congratulations to Ashley Soto and CJ Brumage on their selection to the Cal South PRO+ ODP Player Pools for the Girls 2004 age group. They were invited to attend two training camps in December that serve as preparation and selection process for the 2017 US Youth Soccer ODP Region IV Championships in January in Phoenix. Cal South's ODP Teams are some of the best nationally. This is a huge accomplishment and great opportunity to play against some of the top players in the country. Outstanding work and best of luck to both Ashley and CJ! For more information, please see the Cal South announcement in the link below.